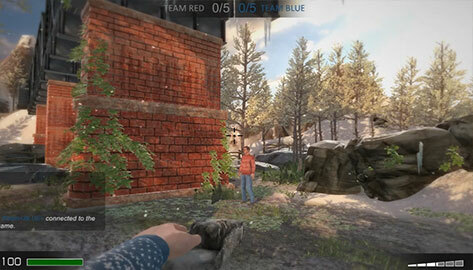 A first person team-based snowball shooter with online multiplayer. For this game I created most of the network implementation. In-game lobby, player state, interpolation and lag compensation. This system tries to eliminate the combat latency from the attackers perspective. 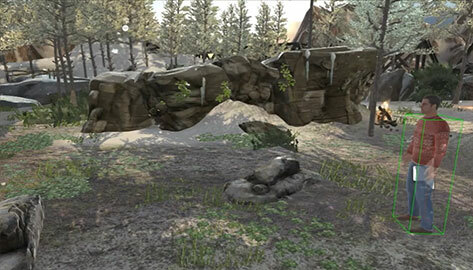 The server rewinds time back to the moment the player attacked to check for a valid collision. 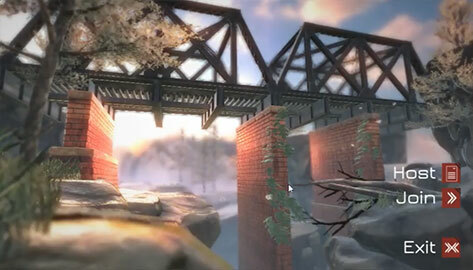 The player can gather snow from the ground to create a snowball. This snowball can then be used to hit other players.